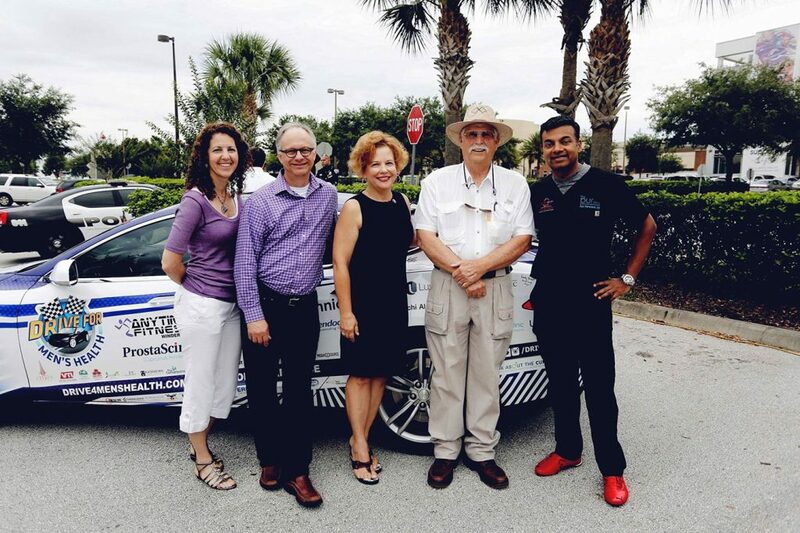 Florida Polytechnic University is pleased to recognize one of its prominent Foundation Board members, Dr. Sijo Parekattil, Co-Director of the PUR clinic, for completing a remarkable cross-country “Drive for Men’s Health” road trip, raising awareness of men’s health issues. Their trip also helped raise financial support for men’s health research and the Florida Polytechnic University Foundation, which supports scholarships and the university’s innovative mission. Over the course of nine days, Parakettil and his medical partner Dr. Jamin Brahmbhatt, also Co-Director of the PUR clinic, traveled from Florida to New York State and then west to California, engaging men across the country in discussions about their health and disease prevention. The pair left Clermont, Fla. on June 9, and stopped in Orlando, Atlanta, Washington, Philadelphia, New York City, Cleveland, Chicago, Las Vegas and ultimately finished in Los Angeles on June 18. A portion of the funds generated by the Drive 4 Men’s Health will go to directly support student scholarships, Florida Poly’s educational initiatives, special projects, and overall growth at the university. Since its inception, the “Drive For Men’s Health” has traveled more than 7,000 miles, encouraging men to get physical check-ups, seek out primary care and learn how the latest technologies can help them maintain better health. The vehicle of choice for their road trip has been Dr. Parekattil’s personal electric Tesla Model S.
As noted by the campaign, a survey commissioned by Orlando Health found that more than 80 percent of men could remember the make and model of their first car, but only about half could remember the last time they went to the doctor for a check-up. For more information on the “Drive For Men’s Health” project, see www.driveformenshealth.com.